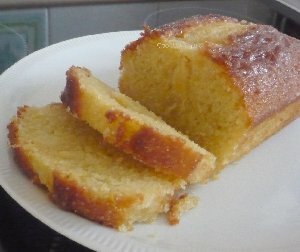 The perfect recipe for moist lemon drizzle cake. Tested and perfected by baking five times to ensure you have the best taste and texture ever. One feature of this cake is that the texture and flavour changes over a few few days. At any stage it's delicious but some prefer the freshly baked texture whilst others, myself included, believe it improves after a day or so. Grate the skins of the lemons for the zest. Only grate off the yellow surface because the lower white pith can be very bitter. The butter does need to be relatively soft before mixing the pastry - 30 minutes to one hour at room temperature will do the trick. Line the baking tin with greaseproof cooking paper. There's no need to do this to perfection, any imperfections will be hidden by the drizzle mixture. Set the oven to 180°C / 350°F / Gas Mark 4 (10°C lower for fan-assisted ovens). 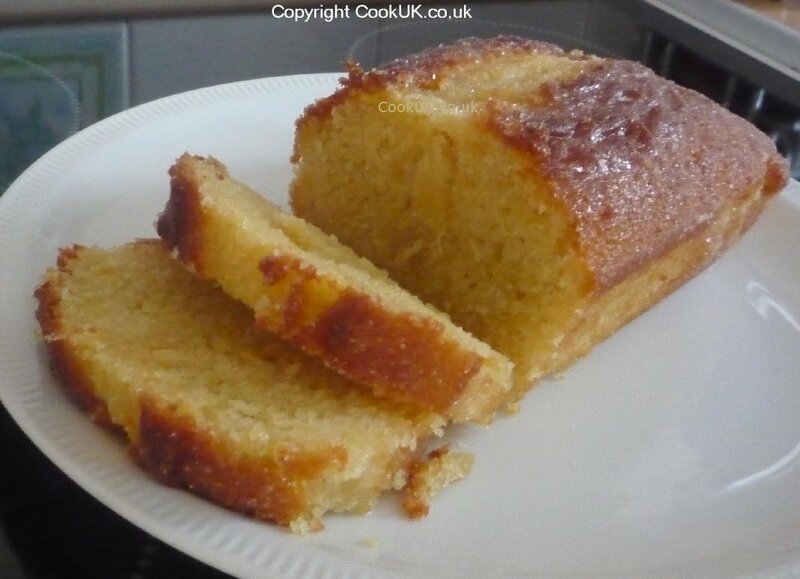 The pastry mix for this lemon drizzle cake is almost the same as a Victoria sponge so, as long as it is well mixed, should prove no problem for even the very amateur cook. 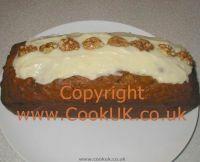 In the recipe below we suggest covering the cake very lightly with foil after it has baked for 20 minutes. The reason for this is to stop the top turning too brown and looking slightly burnt. In fact, leaving the foil off does not affect the taste at all but it does slightly improve the appearance. 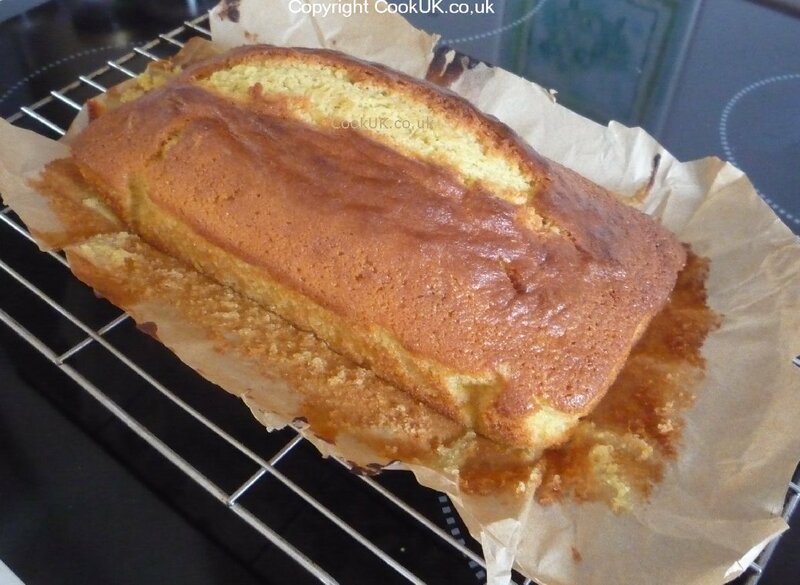 The drizzle is simplicity itself to mix and the drizzle mixture tends to settle to bottom of the tin giving the sponge a delicious taste with a very moist texture lower down but less so at the top. This is a joy to eat and it keeps for several days if placed in a tin or covered over. 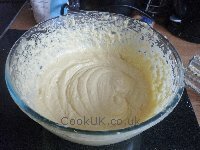 Add all the ingredients for the cake mix (but not the drizzle) to a food processor and mix for a couple of minutes until there are no lumps left. It is possible to do this with your hands and a fork but it will take much longer. Pour the mixture into the lined baking tin and smooth the top with a fork. Place in the middle of the pre-heated oven for 20 minutes. 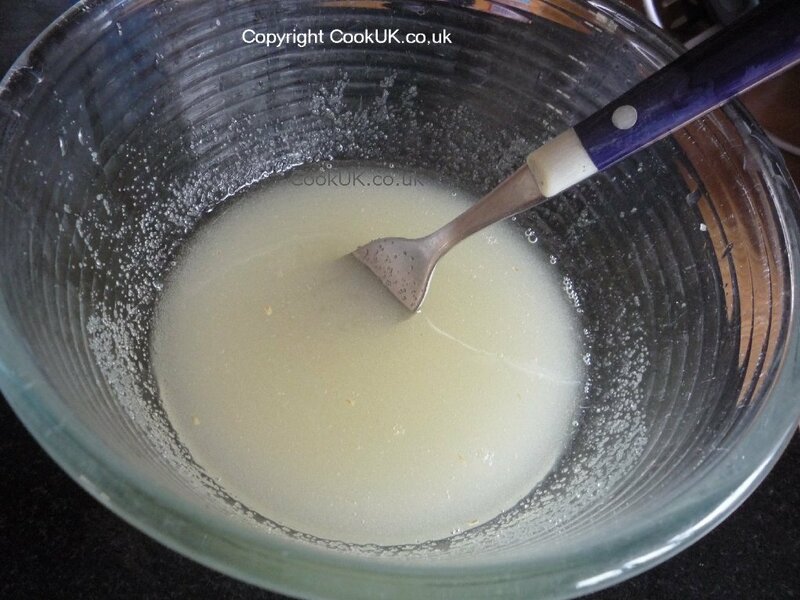 While the cake is baking pour the sugar and the lemon juice into a bowl and mix well with a fork. When the cake has cooked for 20 minutes cover it very lightly with kitchen foil and place it back in the oven for a further 15 minutes. After the cake has cooked for the full 35 minutes take it from the oven and test that the centre is cooked by inserting a fork or metal barbecue stick into the middle. If it comes out clean then the it is cooked, if not then bake for five more minutes. Cooking times vary according to the oven from 35 to 53 minutes. Remove the cake (baking paper still on) from the tin and place on a wire rack. Remove the baking paper and the leave the cake to cool for 15 minutes. Pierce a few small holes evenly in the top. Replace the cake back in the baking tray and then pour over the lemon drizzle mixture. Leave it for half an hour or so to cool in the baking tray and then transfer to a serving plate.